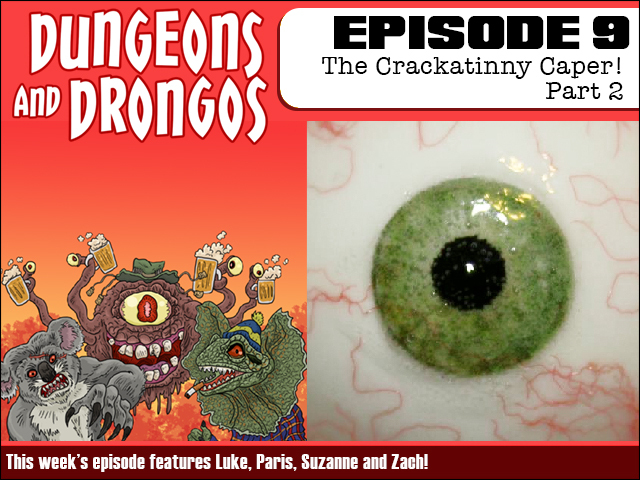 Fruitless Pursuits: Dungeons and Drongos Episode 9: The Crackatinny Caper Part 2! Dungeons and Drongos Episode 9: The Crackatinny Caper Part 2! This week the Crackatinny Caper concludes as our heroes find themselves trapped in a gnome brewery surrounded by vicious hybrid hobo/emus. Can they survive the onslaught? And if so will they discover the truth behind this sinister new plot?